This week, I had the opportunity to drive Chevrolet’s newest and hottest performance sedan on public streets. Yes, it is cool. No, it is not available in stores. What is this forbidden vehicle that is setting the GM message boards ablaze? I’ll give you a hint--it’s a name you know. After a 15-year hiatus, Chevrolet is finally bringing the Caprice back to the U.S. lineup. Right now, the plan is to make it available as a police fleet vehicle only for 2011-2012, but there is a decent chance that we could see it in civilian hands eventually. Let’s take a look at the Caprice in a little more depth. The Chevrolet Caprice has a pretty solid history. 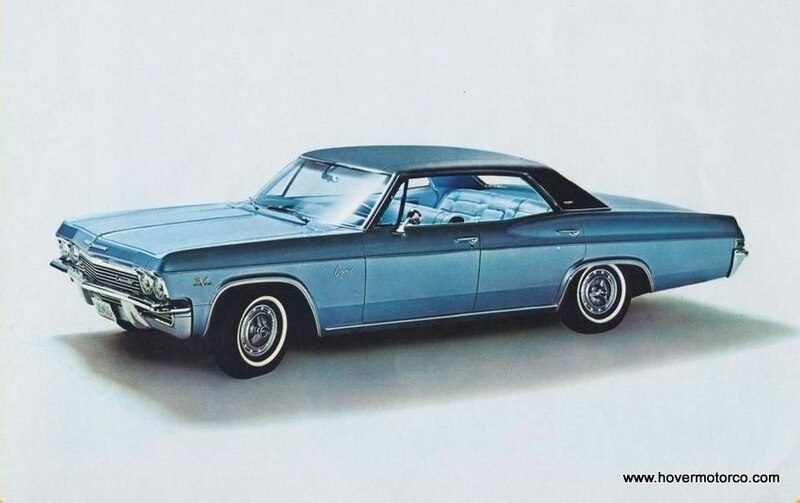 When it came out in 1965, it was an upgraded trim level for the Impala. In the context of the late ‘60s, the Caprice really was fancy. Even standard, it was loaded with V8 power, a luxurious interior, and a formal roof line on the two-door hardtop. 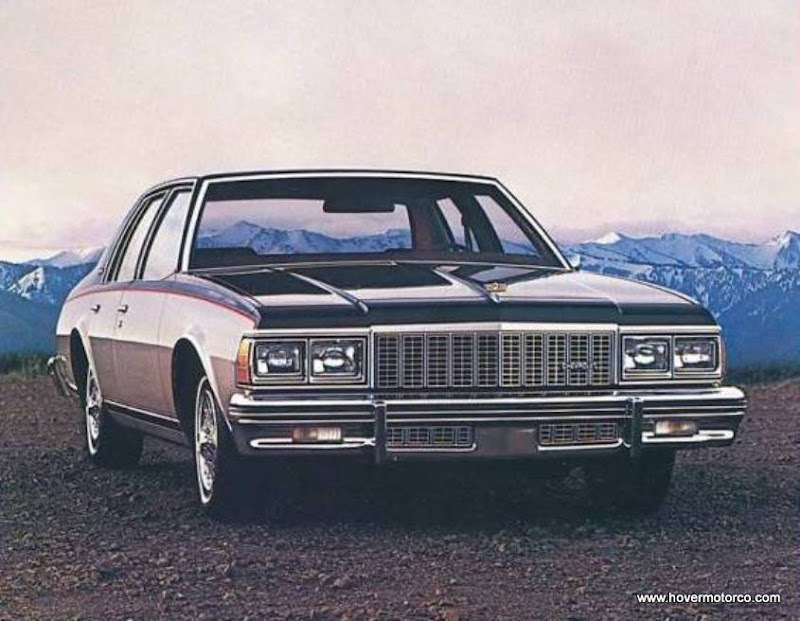 You could load so many options on a Caprice that it almost rivaled a Cadillac, and a Chevy that was as fancy as a Cadillac was unheard of back then. The Caprice proved to be a wildly successful vehicle for decades. It always adapted to the times, but it never forgot its purpose. 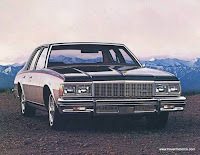 For example, in the early/mid- 1970s, the Caprice was a roomy, powerful land barge, the kind of car people admired and desired. Then in 1977, governmental regulations and consumer tastes prompted a somewhat downsized version, which became the best-selling vehicle in America. This car hung around in more-or-less the same configuration until 1990, and you would be hard-pressed to speak with anyone over the age of 25 who didn’t have some kind of personal experience with one of these reliable, well-regarded cars. In 1991, Chevrolet introduced a new, more aerodynamic Caprice. Essentially the same platform as the outgoing model under the skin, the styling proved to be somewhat controversial and bulbous-appearing. Some of this had to do with the car’s size, as people were not used to seeing the new jelly bean design language carried out on such a large car. Also, the rear wheelwells were mostly enclosed, which reminded people of old-fashioned fender skirts and made the car appear somewhat bottom-heavy. The ’91 Caprice still managed to capture the Motor Trend Car of the Year award, and there were still plenty of people that craved a traditional, full-frame, rear-wheel-drive V8 Chevy. Stylists managed to correct one of the biggest perceived flaws in the Caprice design by 1993 when they radiused those rear wheelwells and gave the Caprice a more contemporary look. 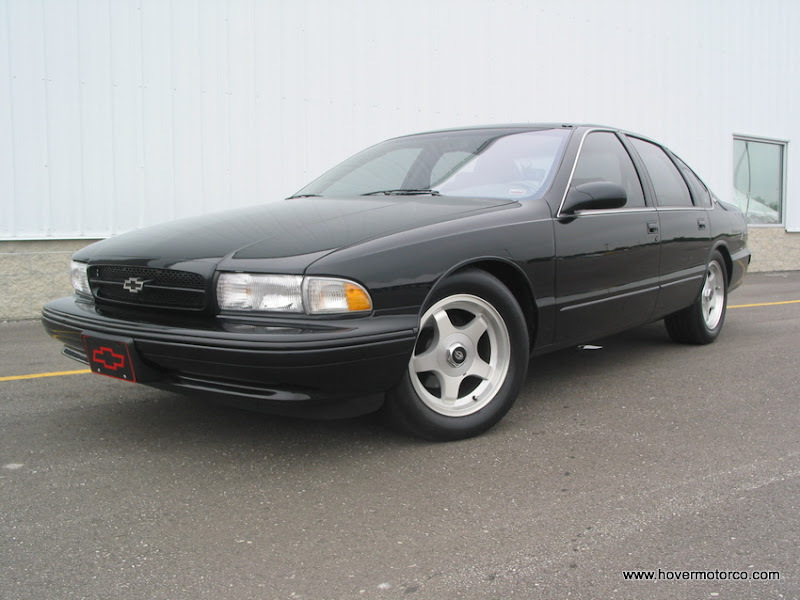 That change, along with the introduction of the 260-hp LT1 V8 to the B-Body line, prompted the Impala SS in 1994—a sinister, blacked-out, fat-tired, hot rod version of the normally squishy Caprice. The Impala carried several suspension components from the Caprice police package, sometimes referred to by the order number 9C1. Caprices had been a staple in police fleets for years, and the ’94 – ’96 versions with their LT1 power were the preferred choice of patrol officers across the country. There were so many Caprices in police service that it was hard not to associate the civilian versions with them. 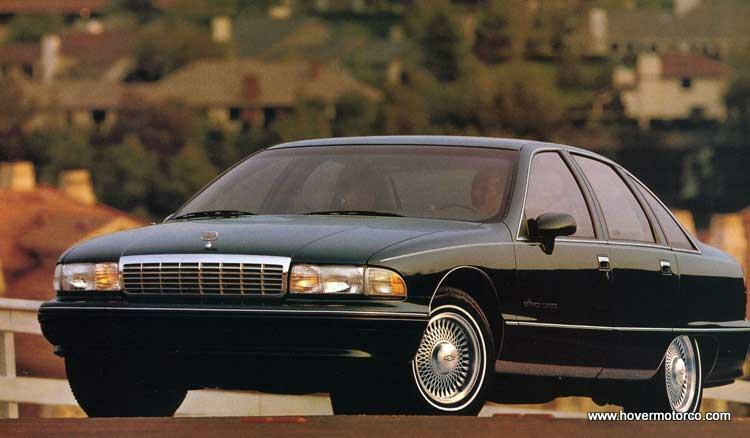 Although there was a strong desire for the Caprice in police trim, consumer tastes were changing in the mid-‘90s. “Traditional” began to have the same meaning as “old”, and certainly the average Caprice buyer was graying. People seemed to be gravitating toward smaller, lighter, more fuel-efficient front-wheel-drive cars, and the market for the Caprice was drying up. Compounding the Caprice’s problems was that even if a younger person wanted a V8, full-frame vehicle, they would more often turn to trucks and SUV’s, which were by that time just as well-appointed as a car, and offered more practicality without the old person stigma. The Caprice was discontinued after the 1996 model year; the plant in Arlington, Tex., converted to truck production. 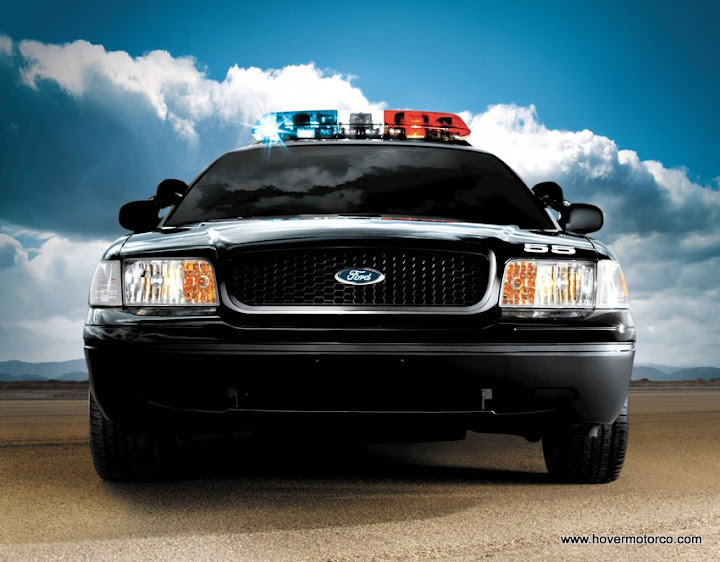 This left the police fleet market open to the last big player—the Ford Crown Victoria. While Chevrolet tried to meet police needs with front-wheel-drive Luminas and Impalas and Tahoe SUV’s, Ford really dominated this segment. Ford’s Panther platform, on which the Crown Victoria is built, has a similar history as the Caprice and is just as old. 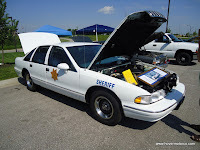 Basically the same platform as it has ridden on since 1977 (there was an upgrade to rack-and-pinion steering in 2003 that’s worth noting); the Crown Victoria continued to be sold only to police fleets. The Crown Vic carried on for many years after the Caprice’s demise, but the last car finally rolled off the assembly line last month. Ford is banking on a new Taurus-based police vehicle to take up some of the slack, but the lack of a V8 engine and the car’s front-wheel-drive-based all-wheel-drive platform may be a tough sell. 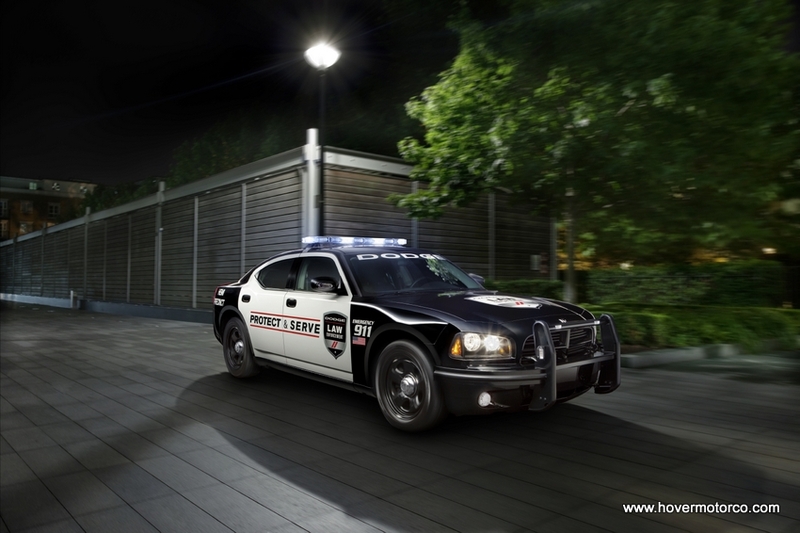 Right now, the only real challenger in the police car segment is the Dodge Charger, which does fit the bill as a rear-wheel-drive, V8-powered American-branded car. Some police agencies have adapted to the Charger, but it doesn’t have enough backseat room for some, and the reliability has proven to be somewhat suspect, particularly under heavy braking. Plus, many government agencies are required to buy American vehicles, and with Chrysler’s merger with Fiat, that claim could be in question. So what other choice is there? Enter the 2011 Chevrolet Caprice. With the Crown Vic out of the picture, the police market is ripe for the picking. Chevrolet has been building this Holden-based car overseas for years, so bringing it here isn’t much of a stretch. The Caprice is similar to a stretched version of the much-lauded Pontiac G8, and is powered by a Corvette-derived 6.0-liter V8 producing 355-hp. It also shares much of its platform layout with the popular new Chevrolet Camaro. The 3.6-liter, direct-injected V6 found in the Camaro is also a same-cost option. Obviously, the G8 disappeared when Pontiac was shuttered. Then General Motors Vice Chairman Bob Lutz had indicated that a production version of the G8 may make it into Chevy showrooms as an Impala SS, but recanted his statement shortly after. More recently, rumors are surfacing that because of strong interest in the police version, a civilian Caprice is likely to appear within the next few years. Stay tuned. Right now, police fleets can purchase either the Spartan 9C1 patrol unit, or a 9C3 detective’s car. The 9C3 is already much nicer, with a finished console, full wheel covers, and more accoutrements. The 2011 Caprice I had the chance to drive was a new 9C1 patrol unit, complete with a spotlight, rubber mats, and lots of blank space for electronic gear in the console. A 6.0-liter V8 just like the one in a Camaro SS was under the hood. I can’t really talk to the quality of materials per se, because this car was sparse. There was lots of hard plastic and not much glamour in there. But it had quite a bit of room inside, and the back seat had plenty of leg room. The layout was straightforward and intuitive, and it was easy to position the seat comfortably. Of course, luxury versions of this car are sold in other parts of the world, and they are not utilitarian at all. It’s amazing what a little carpet, wood, and leather can do to alter perceptions. It wouldn’t take much. The car drove a lot like a G8 GT. That’s to say, it handled very well, and it ran like a scalded dog. Without a doubt, this car would spank my ’96 Impala SS in any kind of competitive driving test. I drove a new BMW 5-Series on the same day, and the new Caprice is in the same league. I would absolutely love to own a civilian version of this car. 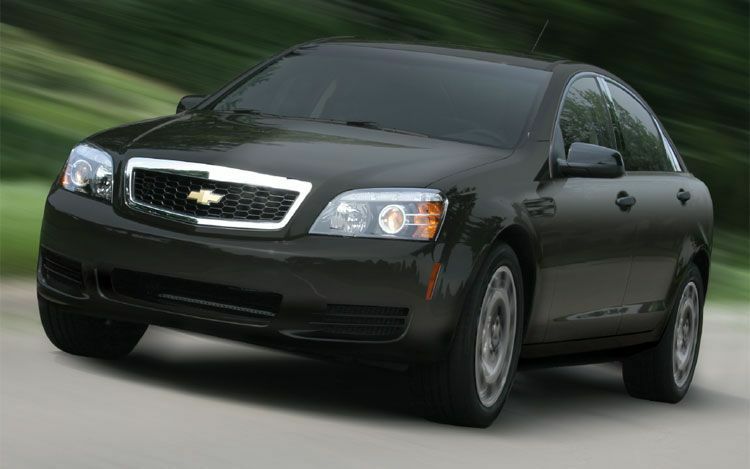 For more than 40-years, the Chevrolet Caprice name has meant reliable, useful, serviceable cars. 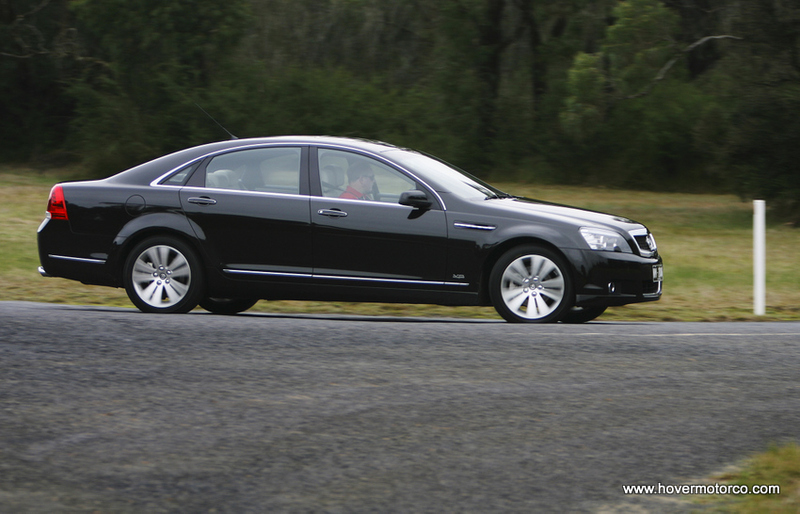 The solid foundation of the Caprice and its reputation for quality should help pave the way for the 2011 Police patrol Vehicle, and hopefully a return to the V8, rear-wheel-drive sedan to Chevrolet showrooms. The slideshow below contains sort of a hodgepodge of Caprice-related images. You’ll see the car I drove, some GM promotional images, a few older versions of the Caprice, and a few glamour shots of this car in civilian clothes as it is sold in Australia and the Middle East. Maybe it’ll whet your appetite for an upcoming Caprice comeback. And if not, you can at least study the images so you’ll know what to look for when you meet one so you can ease your foot off the accelerator.